SANTA MONICA, Calif. (May 2, 2016) – Bellator MMA is proud to announce the signing of three-time All American wrestling prospect Jarod Trice to an exclusive, multi-fight contract. The story was broken by Flo Combat and Flo Wrestling, who have chronicled a great deal of his wrestling career. 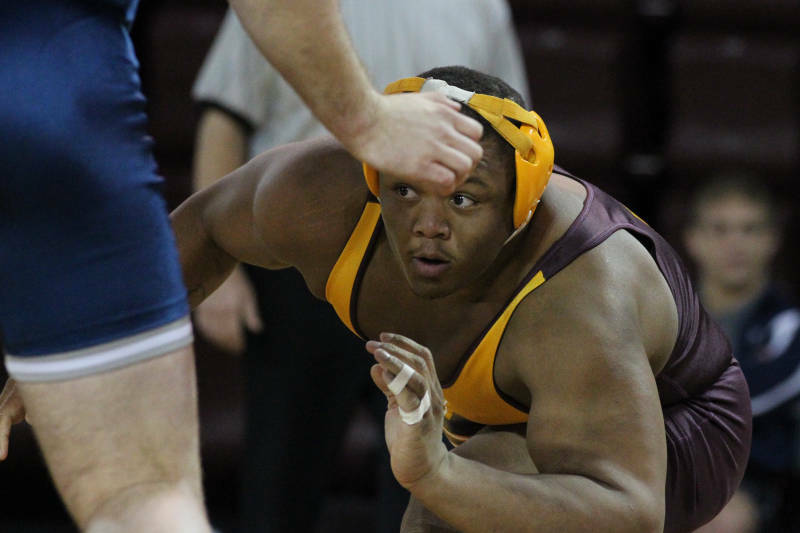 In addition to his three All-American accolades, the 27-year-old Trice has an impressive trophy case that includes a National Title at 120 kg and two Greco Roman National Titles, with one at 120 kg and another at 98 kg. 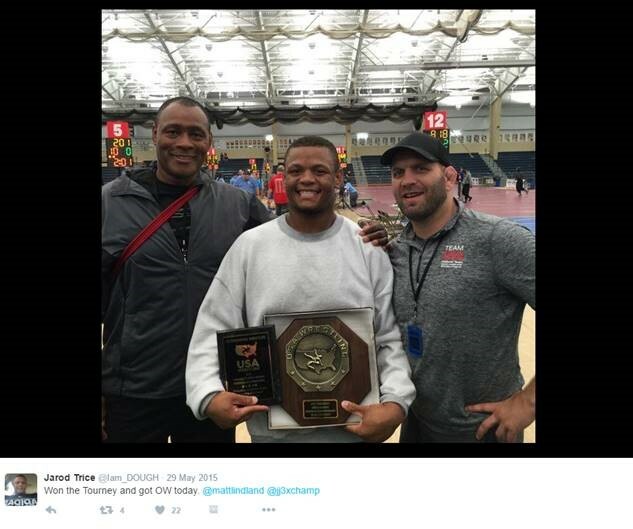 The above photo features Trice after winning the Outstanding Wrestler Award alongside 2012 Olympic Coach J.J. Johnson (left) and U.S. National Greco-Roman Coach Matt Lindland (right). Having trained literally all over the world, including stints at Iowa State University under Kevin Jackson and the U.S. Olympic Training Center in Colorado before heading to Arizona, where he trains with other Bellator MMA stars with incredible wrestling pedigree’s like Darrion Caldwell and Bubba Jenkins. Trice credits Bellator MMA bantamweight Shawn Bunch with giving him the idea to pursue MMA. Trice is the latest prospect from the world of wrestling to join Bellator MMA’s incredible recruiting class of prospects including: Aaron Pico, Ed Ruth and Tyrell Fortune.